According to him, "Six-month-old investigation. 69 days after the major lead. Here we are!It’s not me. 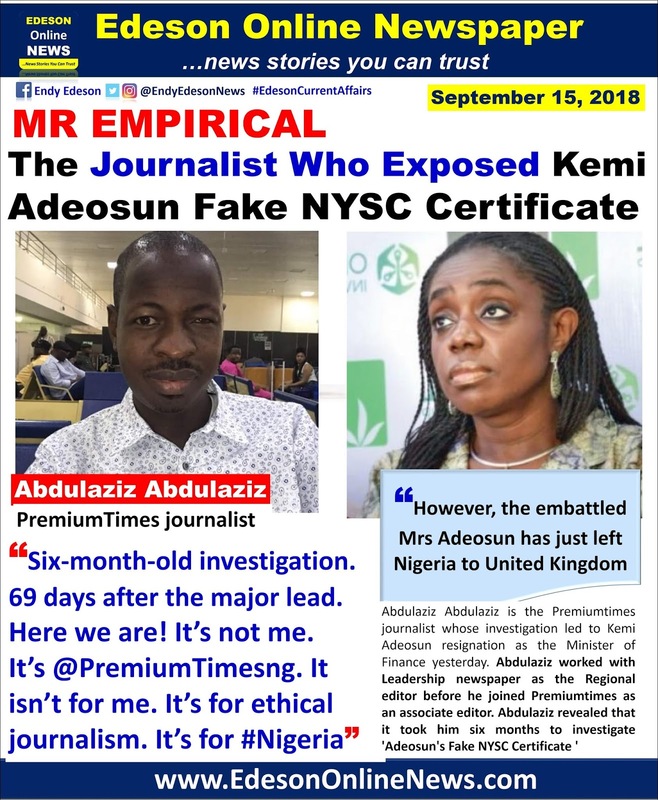 It’s @PremiumTimesng. It isn’t for me. It’s for ethical journalism. 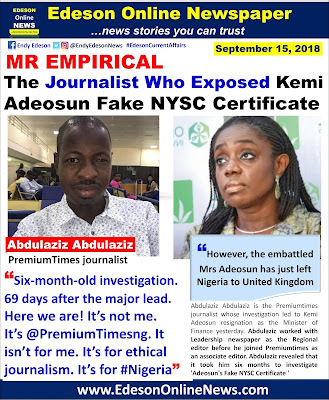 It’s for #Nigeria" He also noted that there are Senators who exploited Adeosun to fleece the Nation. of national service risks jail term of up to 14 years. @John: Good evening bro. Poor her? How? She is going back to enjoy in UK. Yeah, she is humble. I like her humility. Despite this scandal, I still have huge respect for her. The service stuff is a waste of time to me. Must we serve the country?. Can the journalist replace her now? Fear of people around u the beginning of wisdom. She is integrity exemplified . I feel she didn't know the cert was fake giving that she didn't grow up here and when she confirmed it is not genuine she honorably resigned. How many people in this administration will do that?